More children than ever before are being diagnosed with an autism spectrum disorder (ASD). The U.S. Centers for Disease Control and Prevention (CDC) now estimates that 1 in 59 eight year-old children has an ASD. The occurrence of autism is also evident in the number of students with ASD receiving special educational services. Since Congress added autism as a disability category to the Individuals with Disabilities Education Act (IDEA), the number of students receiving special education services in this category has increased over 900 percent nationally. The number of students receiving assistance under the special education category of autism over the past decade has increased from 1.5 percent to 9 percent of all identified disabilities. Autism now ranks fourth among all IDEA disability categories for students age 6-21. Given the dramatic increase in ASD, school psychologists and other school-based professionals are now more likely to be asked to participate in the screening, identification, and educational planning for students with ASD than at any other time in the past. Moreover, the call for greater use of evidence-based practice has increased demands that school psychologists be knowledgeable about evidence-based assessment and intervention strategies for students with ASD. Guidelines and standards have been developed recommending best practice procedures for the assessment and treatment of ASD. There is a large and expanding scientific literature base that documents the existence of two major elements of evidence-based practice: (a) assessments shown to be psychometrically sound for the populations on whom they are used and (b) interventions with sufficient evidence for their effectiveness. Although school psychologists are often called on to assume a leadership role in evaluating, identifying, and providing interventions for students with ASD in our schools, there is little research to show how closely school psychologists align their practices with the parameters of best practice. Due to the increase in the number of children receiving special education services under the classification of autism, research is needed regarding the preparedness of school psychologists and schools to address the needs of children with ASD. Although there is a paucity of research focusing on the delivery of school psychological services for students with ASD, there are several national and state-wide surveys which provide exploratory information regarding school psychologists’ level of knowledge in the area of autism assessment and intervention; assessment methods, measures, and techniques; level of training; and perceived level of preparation and confidence. Aiello & Ruble (2011, 2017) investigated school psychologists’ knowledge and skills in identifying, evaluating, and providing interventions for students with ASD. A total of 402 participants from 50 states completed their survey. Results indicated that despite a limited amount of training received during their graduate education or pre-service training for working with the autism population, most school psychologists’ self-reported knowledge of ASD was in the expected direction for agreement. However, there were gaps in knowledge regarding the differences between emotional and behavioral disorders and autism, developmental delays and autism, and special education eligibility versus DSM diagnoses that need to be addressed through more training. The survey also indicated the need for additional training opportunities in providing interventions, strategies, and supports for students with autism in the following areas: developing family-centered educational plans; training peer mentors; and translating assessment information into teaching goals and activities. Rasmussen (2009) also completed a national survey of school psychologists to determine their level of knowledge in the area of autism assessment; level of training; and perceived preparation and confidence in providing services to children with ASD. Results indicated that training positively affected school psychologists’ knowledge about autism; their levels of involvement with students with autism; and their perceived levels of preparation to work with this population. Of the 662 participants, the majority accurately identified diagnostic features and true and false statements about autism, suggesting an adequate understanding of autism. Participants with more training reported an increased level of involvement on multidisciplinary teams and an ability to diagnose autism when compared to those with less training. Brief rating scales were among the most commonly used instruments, while more comprehensive and robust instruments were among the least-often employed, suggesting school psychologists are either not trained or are limited in the time and resources needed to use evidence-based instruments. Participants felt more prepared to provide consultation and assessment services and less prepared to provide interventions. Although a majority (96.5%) of the respondents reported they had attended workshop presentations or in-service trainings on autism, less than half (43.7%) had completed formal course work in autism in their training program and less than one third (32.3%) had internship or residency experience with autism. These data and previous research suggest school psychologists need more formal training and experience in meeting the needs of individuals identified with autism. Singer (2008) surveyed 199 school psychologists regarding the frequency with which they were called upon to provide services to students with an autism spectrum disorder (ASD); services they actually provided to those students; and their perceptions of the training and experience they had pertaining to the assessment and treatment of ASD. Additionally, the study surveyed 72 graduate programs in school psychology to determine the extent to which these programs prepared new school psychologists to work with children who have ASD. A majority of respondents (64%) reported using only brief screening instruments to identify students. Although able to identify the “red flag” indicators of ASD, very few school psychologists perceived their training as adequate. Only 12.6 % of respondents indicated that they had sufficient coursework in ASD and only 21% indicated that they had sufficient practicum experience. Just 15% indicated that their overall training with ASD was “completely adequate.” Only 5 of the 72 (16.9%) school psychology programs surveyed offered a specific course in ASD; most indicating that the topic was addressed in other courses. According to the author, the survey data suggest that school psychologists lack adequate knowledge about evidence-based instruments and procedures available to screen, assess, and intervene for ASD. Pearson (2008) surveyed a group of Pennsylvania school psychologists regarding their training, knowledge and evaluation practices when assessing and diagnosing ASD. The aim of the study was to determine the extent to which school psychologists are prepared to meet the rapidly increasing demand for using best practice procedures when assessing and diagnosing ASD. An electronic survey was sent to 1,159 certified school psychologists with 243 completed surveys returned. Survey results found the majority of respondents indicated that they rely on the use of brief screening instruments and do not use or recommend "gold standard" instruments with students suspected of having ASD. Only 32.2% of the respondents reported they were very much prepared to recommend an IDEA classification of Autism. Less than 5% of the school psychologists surveyed received formal training in ASD at graduate institutions or internships. The overwhelming majority of school psychologists surveyed believed there is a need for more training for school psychologists concerning the characteristics of ASD, best practice in the assessment of ASD, and differentiating ASD from other developmental or coexisting disorders. Small (2012) used an online survey of 100 members of the Massachusetts School Psychology Association (MSPA) to obtain information pertaining to demographics, participants' experiences with the ASD population, participants' knowledge of ASD, as well as their use, competency, and feelings of usefulness of various assessment techniques and treatments/interventions. The results indicated that overall, school psychologists demonstrated adequate knowledge of ASD, felt competent conducting assessments, and reported that the assessment tools were useful. School psychologists spent less time on treatment/intervention and while they considered many of the treatments/interventions helpful, they did not feel competent implementing them. 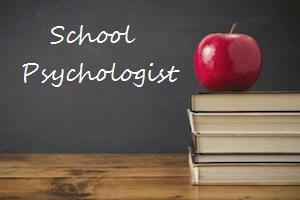 The results suggest that school psychologists need more training in ASD, especially regarding treatments/interventions, at the pre-service level through graduate school training and experiences (e.g., practica and internships), as well as at the practitioner level through professional development opportunities. As more and more children are being identified with ASD and placed in general education classrooms, school psychologists will play an ever increasingly important role in identification and intervention, as well as offer support, information, consultation, and recommendations to teachers, school personnel, administration, and families. Therefore, it is essential that they be knowledgeable about evidence-based assessment and intervention strategies for this population of students. Despite the limitations inherent in survey research, the data from these studies suggest that school psychologists are not adequately prepared to provide evidence-based assessment and intervention services to children with ASD. The survey research illustrates a significant discrepancy between best practice (evidence-based) parameters and reality when it comes to the practice of school psychology and ASD in the schools (Aiello & Ruble, 2017). Federal statutes require that school districts ensure that comprehensive, individualized evaluations are completed by school professionals who have knowledge, experience, and expertise in ASD. Although surveys indicate sufficient knowledge of the signs and symptoms associated with ASD, there is a critical need for school psychologists to be trained and develop competency in evidence-based assessment and identification practices with children who have or may have an ASD. For example, Aiello & Ruble (2017) found a majority of survey respondents reported using brief screening measures such the GARS and/or GADS in assessment and identification, both of which are not recommended for use in decision-making (Brock, 2004; Norris, M., & Lecavalier, 2010; Pandolfi, Magyar & Dill, 2010; Wilkinson, 2010, 2016). In contrast, evidence-based tools such as the ADOS, ADI-R, CARS, and SCQ were used less a third of the time in ASD assessment. Thus, while evidence-based instruments are available for the reliable, thorough assessment of students with ASD, school psychologists either do not have access or lack sufficient training to make them a part of their practice in the schools. Because the knowledge base in ASD is changing so rapidly, it is imperative that school psychologists remain current with the research and up to date on scientifically supported approaches that have direct application to the educational setting. School psychologists can help to ensure that students with ASD receive an effective educational program by participating in training programs designed to increase their understanding and factual knowledge about best practice assessment and intervention /treatment approaches. Recommendations culled from the survey findings include the following: (a) school psychologists need more in-depth, formal training complete with supervision and consultation; (b) school psychology training programs should focus more energy on teaching intervention strategies for students with autism and include a separate course in ASD as part of the curriculum; (c) increase the use of more psychometrically sound autism instruments such as the ADOS and ADI-R in schools to provide better identification and more complete intervention strategies; (d) consider resident ASD specialists within the school and train teams of school professionals to work as a unit with the autism-related cases to ensure that the personnel are well-trained and have the experience necessary to conduct reliable and valid assessments and treatment planning; (e) provide training for all school psychologists on best practice guidelines for screening and assessment of ASD and identify measures with and without empirical support; and (g) develop closer relationships with ASD experts and service providers in the community. School districts may also want to consider levels of training, levels of education, and years of experience when assigning school psychologists who work with children who have ASD. Finally, the National Association of School Psychologists (NASP) may consider developing guidelines and recommendations regarding the minimal competencies needed in order to work with special populations such as students with ASD. Aiello, R., & Ruble, L. A. (2011, February). Survey of school psychologists’ autism knowledge, training, and experiences. Poster presented at the annual convention of the National Association of School Psychologists, San Francisco, CA. Brock, S. E. (2004). The identification of autism spectrum disorders: A primer for the school psychologist. California State University, Sacramento, College of Education, Department of Special education, Rehabilitation, and School Psychology. Pandolfi V., Magyar C. I., & Dill C. A. (2010). Constructs assessed by the GARS-2: factor analysis of data from the standardization sample. Journal of Autism & Developmental Disorders, 40, 1118-30. Wilkinson, L. A. (2017). A best practice guide to assessment and intervention for autism spectrum disorder in schools (2nd Edition). London & Philadelphia: Jessica Kingsley Publishers. Thanks for the informative article. Looking forward to more informative articles from you.